Beam Suntory brands have been bringing people together for more than 200 years. Our world-renowned bourbons, Japanese whiskies, single malt scotches, tequilas and cognac are perfect for any occasion, whether it's a celebration in Kentucky, after-work drink in Tokyo, or a reunion in Madrid. Beam Suntory carefully crafts your favorites and new classics ready to be explored. Founded in 1795, Jim Beam has been operated by one family for seven generations. Jim Beam® is aged four years, twice as long as required by law for Straight Bourbon Whiskey, resulting in a fuller, smoother taste. Whiskey made in the US using at least 51% corn and aged in new charred oak barrel. 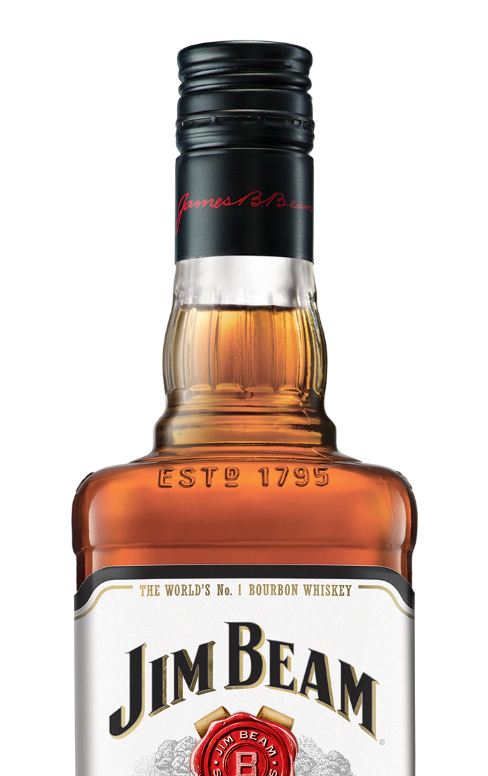 Jim Beam Black® is a premium bourbon with a more flavorful character made to be sipped and savored. Our premium 86-proof, extra-aged bourbon has a full-bodied flavor with smooth caramel and warm oak notes. Rated the world’s No.1 bourbon at the 2016 International Wine & Spirits Competition. In pursuit of making a flavorful, easy-to-drink bourbon, Bill Samuels Jr. created Maker's Mark® using red winter wheat. Since the first bottle was sold in 1958, each bottle is still hand-dipped in its iconic red wax. Every batch of Knob Creek® is aged in maximum-char barrels to pull every bit of hard-earned flavor from the oak. It is a bold bourbon bottled at 100 proof. Basil Hayden's® is a small batch bourbon known for standing out in the crowd. Its uniquely high-rye mashbill, combining the sweetness of corn with the spicy undertones of rye. Named after Baker Beam, Baker’s® Bourbon is distilled at a lower proof and aged for seven years in small batches, allowing the bourbon to pull more toasted nut, fruit & vanilla flavor from the barrel wood. Booker’s® is the namesake bourbon of Sixth-Generation Master Distiller Booker Noe. Once a holiday gift to his friends, Booker’s is released in batches and bottled uncut and unfiltered. 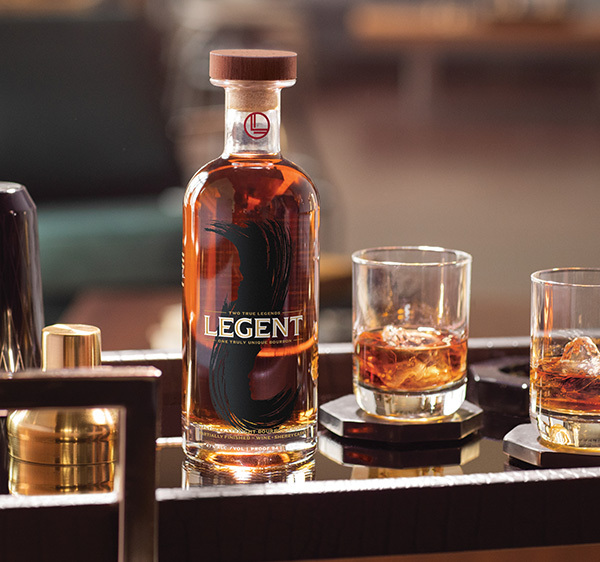 Legent™ is a unique super-premium bourbon innovation that is expertly distilled by Fred Noe, seventh-generation Master Distiller of Jim Beam, bourbon’s pioneering family, and artfully blended by Shinji Fukuyo, fifth-ever Chief Blender of Suntory, the founding house of Japanese whisky. The Yamazaki® Whisky is Suntory's flagship single malt, multi-layered with fruit and Mizunara aromas. From Yamazaki was born the surprising, delicate yet profound experience of a single malt whisky. The Hakushu® was first introduced in 1994 and gained immediate recognition among Japan’s whisky connoisseurs, for its signature taste: silky with floral notes. 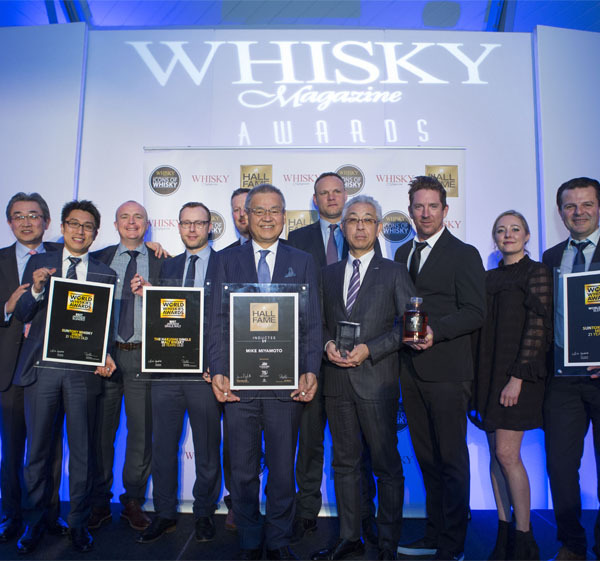 Hibiki® Whisky was introduced to the world in 1989 and since then has not only become Japan’s most highly awarded blended whisky, but is also among the most prestigious and honored whiskies in the world. Kakubin was created by Suntory's founder Shinjiro Torii in 1937. It has been one of Suntory's signature brands known for its iconic square cut, tortoise-shell bottle and delicate taste. Suntory Whisky Toki® is a blended Japanese Whisky that offers exceptional versatility and a highball that is recommended for those interested in experiencing how whisky is enjoyed in Japan today. Chita is an outstanding single grain whisky from the Chita distillery in Japan. Aged in wine, Spanish Oak and American White Oak casks, it features a light taste and delicately sweet fragrance. Laphroaig® means "the beautiful hollow by the broad bay." Born from the streams and blue peat smoke of Islay, Laphroaig is a Single Malt Scotch Whisky with a distinct taste and story in every bottle. Founded in 1779, Bowmore is the oldest licensed distillery on Islay. Islay's natural environment and a dedicated team of craftsmen together create a perfectly balanced Single Malt. Auchentoshan®, meaning “corner of the field” in Gaelic, is a versatile, smooth, and light Single Malt Scotch Whisky made through triple distillation. Glen Garioch® (pronounced 'Geery’), meaning ‘granary’ in Doric (Scottish dialect), is an ideal example of what a Highland malt can offer: distinct, intense, authentic and full of character. The Ardmore® is a peated single malt whisky shaped by its deep rooted connection to the land, people and wildlife of its Scottish Highland home. Teacher's® is an award-winning, richly flavoured premium blend of whisky, created by Wm Teacher and enjoyed since 1830. The Canadian Club distillery first opened its doors in 1858. For more than 150 years, Canadian Club® has been known worldwide as smooth, versatile and easy to enjoy. Founded in 1757, Kilbeggan is the oldest continuously licensed distillery in Ireland. Kilbeggan continues to push Irish whiskey conventions while remaining true to classic distilling traditions. Created in traditional pot stills, The Tyrconnell® is one of a few Irish whiskeys that utilizes double distillation, allowing the rich flavors to remain. Connemara® is a unique Irish whiskey with smooth, sweet malt taste and complex peat flavors, inspired by Ireland’s ancient distilling traditions. DYC® is one of the most popular whiskies in Spain. DYC combines the highest quality grains, the heady aroma of the peat derived from the malting process, and the pure mountain spring water from Eresma River. Hornitos® is a premium tequila born on Mexican Independence Day in 1950. A 100% pure agave tequila, Hornitos continues to push boundaries for the betterment of its tequila and the tequila industry. In the 1900s, founder Don Cenobio Sauza was the first to export tequila from Mexico to the rest of the world. Today, Sauza offers a full line of tequilas perfect for margaritas and tequila cocktails. Championing traditional tequila-making methods passed down for generations, El Tesoro™ uses 100% estate-grown blue agave, double-distilled to proof to create a smooth super-premium tequila with agave-forward flavor. Tres Generaciones® is a triple distilled super premium tequila, created by the third generation of the Sauza family to honor the family's mastery of tequila making. A favorite in tequila’s homeland of Mexico, 100 Años is an embodiment of fine taste and distinction. It is an elegant and versatile tequila, good for mixing and serving a crowd. From its home in France, to glasses around the world, the House of Courvoisier has stood the test of time for more than 200 years by staying true to its code of dedication, respect and tradition. 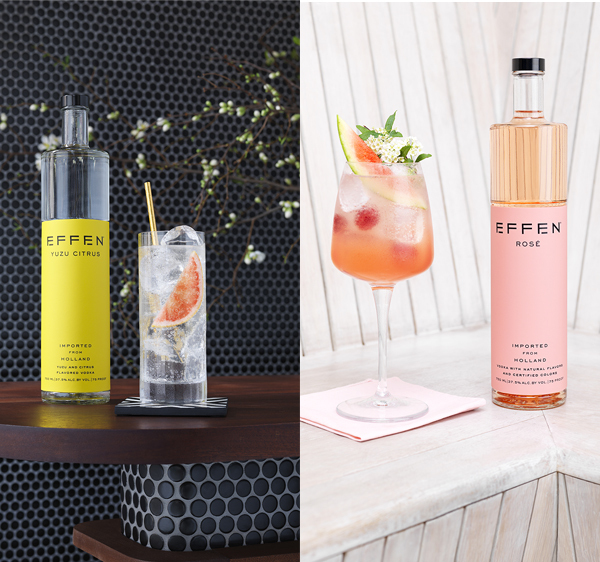 EFFEN®, meaning "smooth, even and balanced" in Dutch, is a Super-Premium vodka. With its world-class crisp and smooth liquid, it's perfect for drinking straight or mixing for your favorite cocktail. Haku®, meaning "white" in Japanese, is Japanese vodka made with 100% Japanese white rice from the House of Suntory. Its taste profile is clean, soft, and smooth with a sweet rice flavor. Pinnacle® Vodka is the most awarded French vodka, winning more than 20 awards for quality and taste since 2013. Offered in variety of flavors, it is endlessly mixable for a new, exciting experience. Inspired by a classic recipe and distilled according to traditional techniques, Sipsmith® is one of the few gins in the world to be distilled using the one shot method and crafted in genuinely small batches. Roku, meaning "six" in Japanese, is a premium Japanese craft gin created by the House of Suntory. Six Japanese botanicals are combined with eight traditional gin botanicals for an authentic gin taste. Larios® Dry is a London Dry gin using natural ingredients such as juniper berries, coriander and orange peel. It's clean on the palate with a lingering finish and more dry and smooth than traditional London Dry gins. Located in the island of St. Croix, Cruzan Rum Distillery is recognized for its handcrafted ultra-premium, aged rums, as well as its critically acclaimed, natural-tasting flavored rums. Since 1695, DeKuyper® has been the brand bartenders trust to add color, flavor and fun to any cocktail. Midori® is THE original melon liqueur. Meaning "green" in Japanese, Midori owes its global appeal to its premium quality and fun musk melon flavor that can be enjoyed with juices, spirits and other liqueurs. Sourz® is a great tasting shot, famous for its distinct sweet and sour fruit flavor. Sourz is a unique treat that has captured a respectable share of the market in countries like the U.K. and Sweden. Horoyoi® is a popular canned chu-hi beverage with an alcohol content of 3%, offered in a variety of unique and seasonal flavors. -196°C is a ready-to-drink, canned chu-hi available in a variety of flavors. Developed with the "-196°C method" to enjoy the natural flavor of fresh fruit, every sip is packed with a punch of flavors. Jim Beam® is the world's best-selling bourbon, crafted by seven generations of family distillers since 1795. Elegant. Smooth. Refined. That's what years of aging in new charred oak barrels does to our Kentucky Straight Bourbon. Fred Noe, Jim Beam's 7th Generation Master Distiller, has stayed true to the family recipe that's been passed down through generations. In 1953, Kentucky distiller Bill Samuels, Sr. set out to create a bourbon whisky to suit any palate. After burning the 170-year old family recipe, he created a full flavored yet easy-to-drink recipe using red winter wheat. Now a global icon, each and every bottle of Maker’s is still hand-dipped in the brand’s signature red wax. Since the establishment of Japan’s first distillery, Suntory Whisky has been the pioneer of Japanese Whisky. 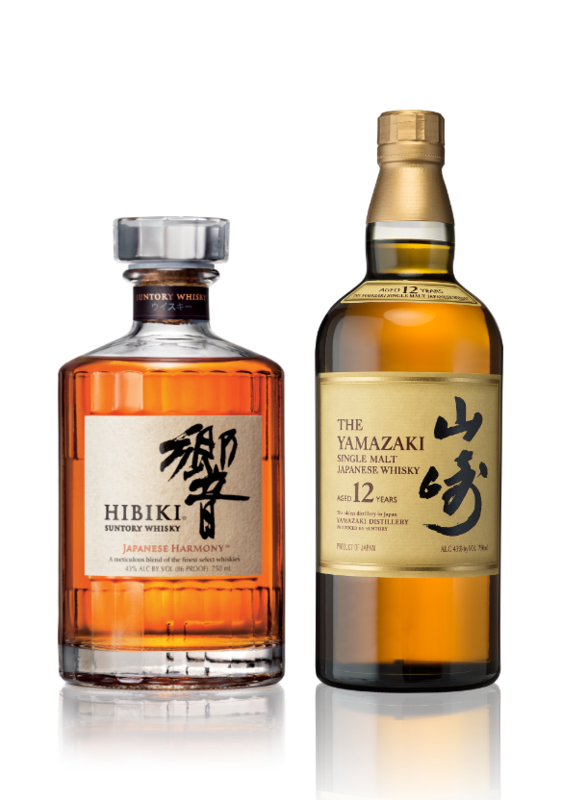 From renowned single malt whisky Yamazaki® and Hakushu® to harmonious blend Hibiki®, Suntory offers multiple products rooted in Japan’s nature and artisanship. With so many noteworthy brands, Beam Suntory is constantly making news in the spirits industry and beyond.